Keezy is a new, creative, and fun app that is meant to bring a bit of music into your daily routine. It’s extremely easy to use, and intuitive. Just pick a Sound Board out of the list, and start goofing around by tapping on the differently colored squares on the screen. 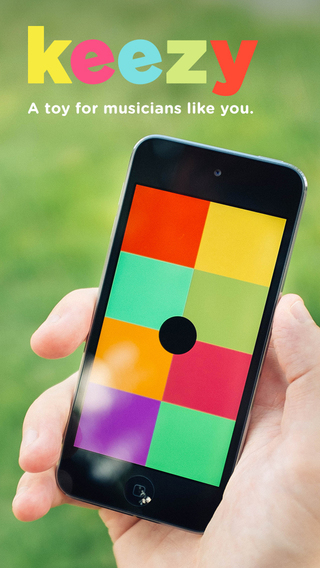 Each square makes a different sound, just like the keyboards of a piano. Go through 15 Sound Boards, each one with its pack of unique, and amazing sounds. And don’t stop at playing with the Sound Boards others created. 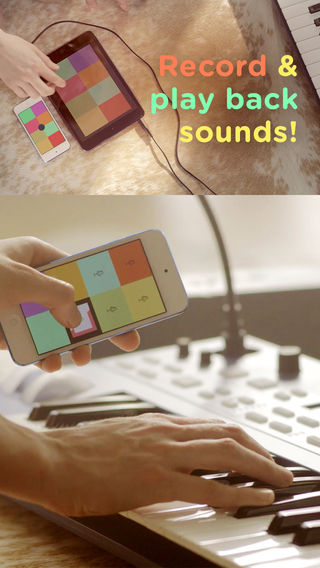 You can create your own eight-piece Sound Board, with any sound you can imagine and would like to include. Just tap on the Microphone icon on a colored square, and start recording. Your voice. A sound. Whatever you can think of. Want to record another voice or sound? Tap again on the same square to stop that recording, and then tap on another to start a new recording. You can have up to 8 different recordings per Sound Board, and as many Sound Boards as you want. 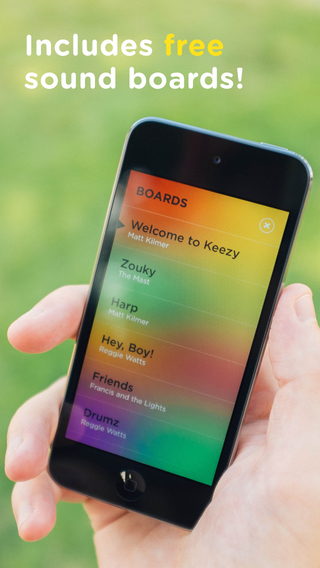 What Keezy lacks, and I think would only make the app better, and more fun, is the option to record the pieces you compose by using the Sound Boards that come along with the app. You can use the Sound Boards to create a nice tune by experimenting with the sounds a certain board has to offer, but you can’t save your project. Of course, you can download Keezy on two different devices, and use one to record, and another to play on, but that seems like too much work. Especially when it could be easily done using just one device, with one Keezy app installed. Maybe there are some Copyright issues involved, I don’t know. But I think this would make Keezy more fun, and engaging. And, of course, being able to share your musical projects with other Keezy users, along with you friends on all sorts of Social Networks, would also be a nice touch. With the options it currently offers, I think Keezy is just a fun time waster for when you’re feeling creative, or just want to bring some music into your life. But not being able to keep what you compose is a pretty big bummer. And that’s a shame, because I think Keezy shows real potential. The intuitive graphics, for one, are something I was really impressed with. Finding an elegant way to give the user all the info he needs to know about the app, without overcrowding the screen, is a pretty tough job. But Elepath made it. So, Keezy looks really nice, and elegant. Now, all it needs to do is get more social, and I think we’ve got ourselves a future hit. What do you think of Keezy? Scroll down for our comment section and let us know!